Many of the players likely to feature will have also appeared in the upcoming Commonwealth Games in Australia’s Gold Coast. So I expect to see the likes of Chloe Birch, Alex and Ben Lane, Lauren Smith and Jess Pugh to all compete fitness permitting. If you are looking to go along to England’s National Badminton Championships 2018 tickets are due to go on sale from 26th April 2018. 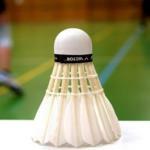 You can find out more over on Badminton Englands website.